The main thing I was hoping that would happen this week is now an impossibility because Bayern were knocked out on Tuesday night and Man City lost to Real Madrid earlier tonight. It would have been all so perfect and not just because it would have seen Pep Guardiola going up against his new club. I was thinking of a it a little differently, what I found so amusing about the prospect of Bayern reaching the final is related to where it’s being held. This year’s final is being held in Italy so it would have been perfect for a German team to be there. A few months ago Germany beat Italy for the first time in 21 years and it happens to be the year the Champions League final is being held in Italy. Not to mention the fact that last year the final was in Berlin and Juventus an Italian team were the runners-up. Now it’s an all Spanish affair, whichever way it goes the trophy will be going to Madrid. There is at least a German still in the competition in the form of Toni Kroos for Real Madrid. Despite the disappointment the week and indeed the night is not a total loss, not least because I got not one but two Jogi interviews. But the reason the week is not lost is an even better reason. Today I got the new DFB album and 50 packs of cards. 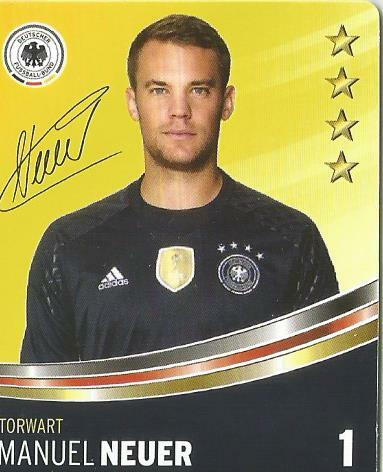 So far I’ve got three of Jogi, two of Matze and Manuel. And I hate to say it, two of Schneider as well. Football aside my biggest hope for this week is avoiding doing anything else particularly stupid between now and the end of the week. I already have all my stupid planned for the rest of the week, one more insane obsession related decision which I’ve committed to. It’s absurd enough to fill my stupid quotient for the week, enough for the month really but I can’t say no, not to the possibility of such a unique addition to my collection. 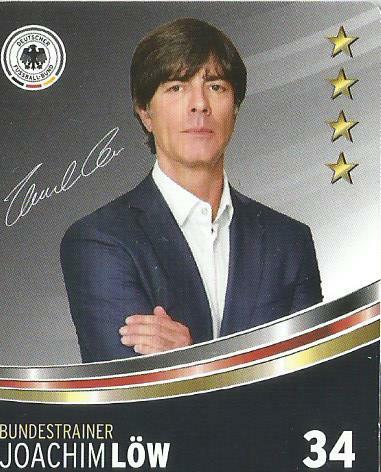 Speaking of collections there’s one other thing I’m hoping for, the safe arrival of my Jogi advertising board. I keep obsessively checking the tracking status of it. I don’t know why because it hasn’t changed in the last 24 hours. But it’s freaking me out, the updates are not helpful at all. It went from telling me it’s on it’s way to saying “it hasn’t arrived yet.” It’s really freaking me out because both updates show the same location, how can it be on it’s way and then not have arrived. I can’t bear to think they may have lost it, surely it has to be a glitch of some kind. And it has to be the one courier company that is renowned for not being able to speak to an actual human being. Last time I dealt with them it was a shipment of German food they failed to deliver, it did eventually show up but had it not done I could have gotten over that. This on the other hand is a one of a kind collectible, not the kind of thing you get over. I know I shouldn’t be thinking so negatively but that is easier said than done. 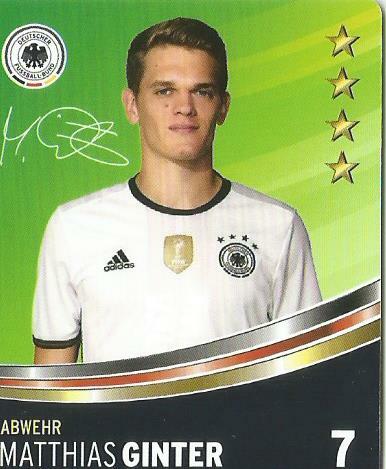 This entry was posted in Die Mannschaft, Jogi Löw, Manuel Neuer, Matthias Ginter, Obsessions/special interests, The Daily Prompt and tagged Joachim "Jogi" Löw collectibles, Manuel Neuer collectibles, Matthias Ginter collectibles. Bookmark the permalink.